SmartKey Starter®. The seamless remote start for your Mercedes Benz, Infiniti or Volvo. The Smartkey Starter® has a number of benefits. For one, the system does not visually change anything within the vehicle. It is not even necessary to carry additional transmitters to use the remote start, as the panic button activates the system. The normal functions of the panic button are retained when it is held down in an emergency situation. This is simply the most seamless remote start solution on the market. 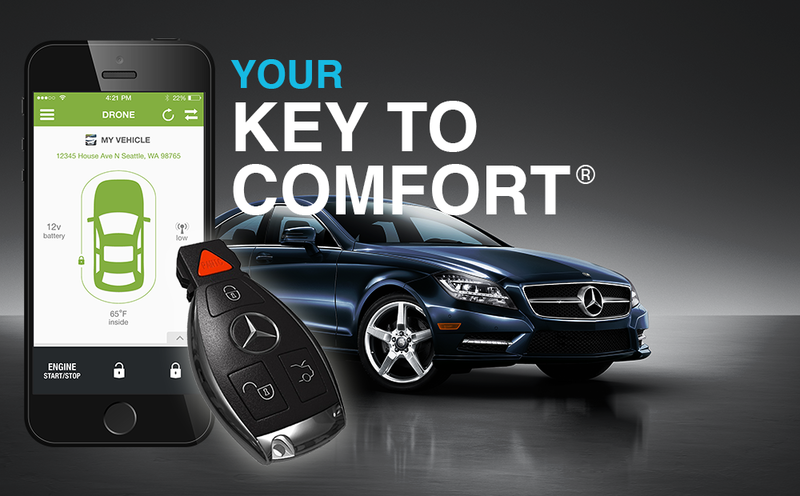 The SmartKey Starter® is compatible with most Mercedes-Benz models going back to 2003. The system enables remote start capabilities by sending a “start” command to the vehicle’s computer when the panic button is pressed once. This allows the driver to start the vehicle remotely, using the factory key. Traditional remote start installations are invasive, requiring extensive work around the ignition wires. The SmartKey Starter® is seamless, and has an unprecedented near zero failure rate, making it the most reliable remote start system you can buy, period. Additionally, the nature of the SmartKey Starter& allows for plug and play integration with long range transmitters, and even Smartphone Interfaces like the Compustar Drone. To purchase and install the SmartKey Starter® locally, check our dealer locator for an authorized installer near you. They will have both the system, and an experienced installer to set it up for you. You can also purchase the SmartKey Starter® and install it yourself, if you’re technically inclined. All units include installation instructions, as well as links to online videos detailing a typical installation. To get started, choose your vehicle above and proceed to checkout. Comfort, convenience, and safety, exclusively for Mercedes-Benz.